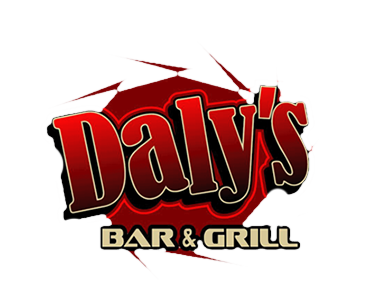 Online ordering menu for Daly's Bar & Grill. Welcome to Daly’s! Over the course of 25 years in the restaurant business, my desire was always to open a place with a concept like Daly’s. I buy local when I can, grow local when I can, because I believe that great food begins with great farming. Almost all items are made from scratch in house. We smoke our own meats, grind our own sausage, make our own fresh pastas, bread our fried appetizers, and the list really does go on. It’s what I’ve learned great food should be. Don’t let the fun, casual atmosphere here fool you, this is not your typical bar and grill. I have a very personal desire to bring you something far more than that. It’s not the money that drives me, but the reactions of my customers. The smiles on your faces are what will fill me with joy, and that’s the difference in Daly’s!